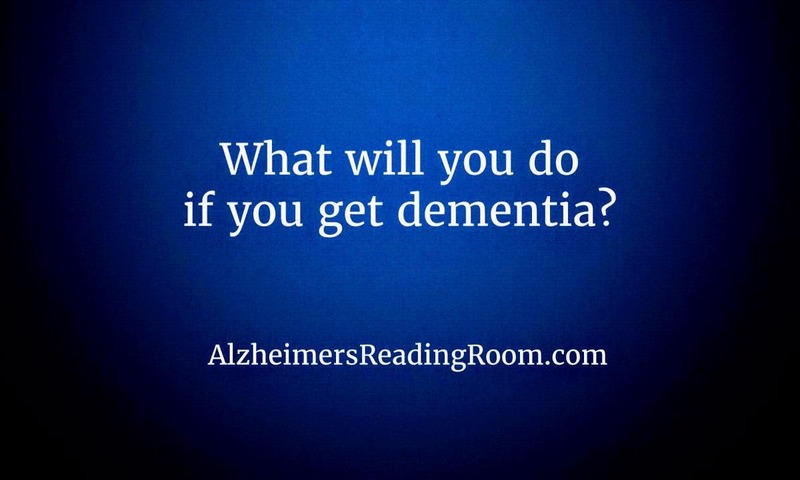 What will you do if you get dementia? Sometimes, when people get dementia, they undergo a sort of personality change. I find that even if a person changes a little, they never lose what made them, them. 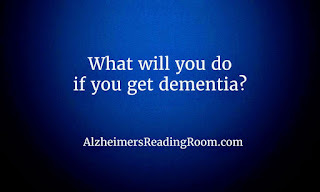 What will you be doing if you get dementia? Right now I work as a director in a dementia care community. Almost all of the residents we care for remember what they did for a living. And, some of them relive that experience every day. I wonder, what will I be doing if I get dementia? I might know I have dementia, and I just might continue to do what I do every day - I will be trying to take care of everyone else who lives with me. I might be the most challenging resident anyone ever had if I get dementia. Will I do this? I’ll be pushing residents in wheelchairs who don’t need to be pushed. The staff will probably be exhausted by my constant need to “check” on other residents and ensure their safety. Fire drill? Forget about it. I’m going to be down the hall, organizing everyone, trying to use someone’s walkie-talkie. My bedroom? I won't need a room at the community, because I will be pretty sure that I live elsewhere and just work there. You had better set up my room to look like an office. Someone better give me a cell phone, because I check this device constantly. Is it 6:00 in the evening? It’s time for me to leave for the day, and I’ll be really challenging to redirect. Speaking of redirecting, it will be difficult to do. I’m an expert in redirecting, distracting, and embracing the reality of residents with dementia. Good luck getting me redirected! I like when everything is clean and organized. There is no doubt that I will be picking up items, relocating them, putting things away, and generally “fixing” things that don’t need to be fixed. Hopefully the staff will get used to my “trainings” during the month. I will, no doubt, have a lot of information to give them on dementia care. If I get dementia, and I live in a care community, hopefully I will be happy because I will get to do what I love every day. Rachael Wonderlin is the Director of Memory Care at Blue Harbor Senior Living, and specializes in long term dementia care. She graduated from the University of North Carolina at Greensboro with a Master’s degree in Gerontology. She writes and answers questions from readers at Dementia By Day.